If you’re an Admirals Club member you can get a Complimentary one-year membership in Hertz #1 Club Gold, plus receive Double AAdvantage Miles from Hertz. Annual membership in the Hertz #1 Club Gold membership is normally $60. Admirals Club members may take advantage of a complimentary one-year membership in Hertz #1 Club Gold. 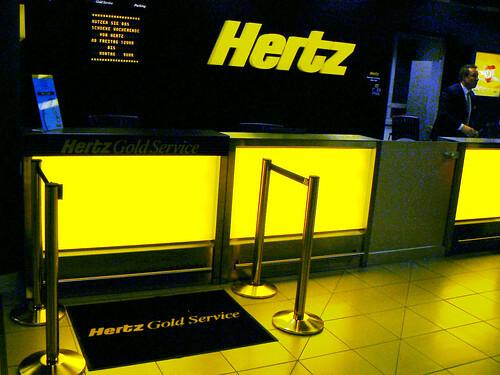 With Hertz #1 Club Gold, there is no need to stop at any counters at over 40 of the world’s busiest airports. Plus, you can enjoy expedited counter service at over 1,000 other locations around the world. If you’re not currently a member, enroll at this Hertz Fee-Waived Gold Enrollment site and provide Program Name: AAdvantage and Promotion Code: 4377. Be sure your discount number CDP 217692 appears in the “General Information” section of the enrollment form. I signed up for the offer and I have to say that Hertz has a very customer friendly process that defaults to “no” when signing up for offers and requires you to “opt-in” in order to receive advertising and special offers. Go here for more details or here to sign up for the Hertz Admirals Club offer. I would like to apply for the HertzGold Card. Looks like there are a few offers from time to time for AAA customers, Marriott Rewards members, and American Express Platinum cardholders. Good luck.